On behalf of the British Blackcurrant Foundation, and our conference organizer Sarah Calcutt, I would like to welcome the Global Blackcurrant industry to the 5th international conference at Ashford in Kent, 14-16th June 2016. We have chosen the location, not only because it is geographically in a major production area, close to London, but also because it is easily accessible for European and World growers, marketing companies, and product suppliers . 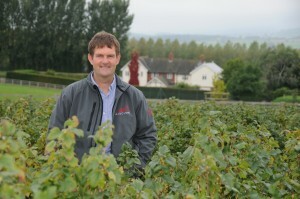 It is important that all associated in our Global Family make every effort to attend, what will be an important conference focusing on primarily promoting the health benefits of our ”˜Superfruit’ and increasing the global market, but also working collaboratively together to manage production in line with demand. The always important World Production estimate session will form an important part of the conference, and I would urge all participating countries to provide accurate, and up to date figures. The conference programme is well underway, with some keynote speakers, but there is still time to add to the programme, so please contact your IBA manager Stefanie, if you have ideas for speakers, and sponsors etc. The online booking system is in place, and I would urge you to book soon, to take full advantage of the early bird discount, and secure the best rooms at this excellent conference hotel. Have a good Christmas, and for those of you starting hqarvest in New Zealand, we wish you ”˜Good Luck’ and fine weather!